Have you noticed that most of the puppies on the Banksia Park Puppies site seem to be sold before they are put up online? That's because they are! To have first access to the 6 week old puppies you need to join our Priority List. The Priority List allows you to see the puppies at 6 weeks old and choose your puppy before the general public. How does the Priority List work? You show your genuine interest by becoming a member of our website and paying a fully refundable $100 deposit. When your selected breed is available, you will have access to the password protected chronological Priority List during Saturday, before the puppies are listed on our public webpage. 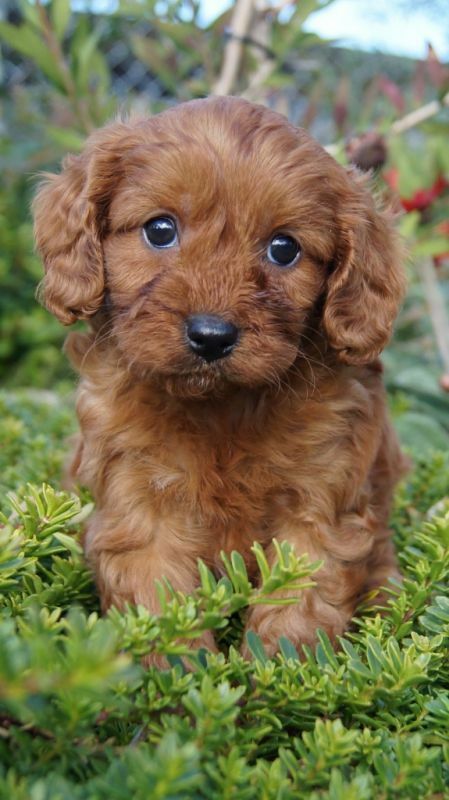 You simply click the 'Reserve Me Now' button and you have secured that puppy. All you are doing at this point is reserving that individual puppy to come and meet when they are ready to go home which you do at our Melbourne location. We have a dedicated area in which your family can meet, play and interact with the puppy to ensure you like each other and we are very happy for you to spend as long as you need doing this. Your payment is fully refundable should you not go ahead for any reason. What if the prices go up while I am on the Priority List? The good news is that the price for your puppy is set at the time you put your refundable deposit down for a period of 12 months. If the prices go up during this period, you will still pay the price at the time that you joined our Priority List. Can I have a tour when I am on the Priority List? Yes, in fact you need to be on the Priority List to have a tour at Banksia Park Puppies. You need to contact us to arrange a day and time for your tour.